This little guy is all ready for bed. 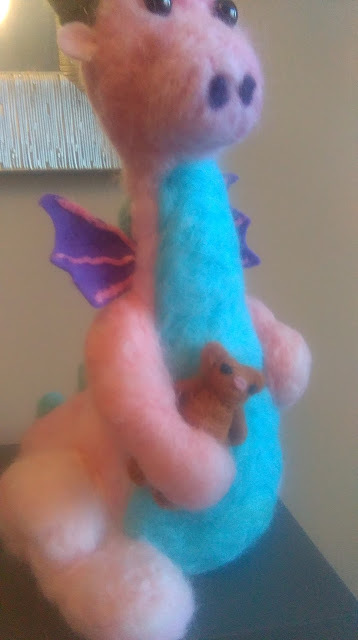 Please note: if your dragonling catches a cold, it is important that you separate him or her from their teddy bear, as their sneezes may catch fire. This guy's alright though. Waiting up for the parents. 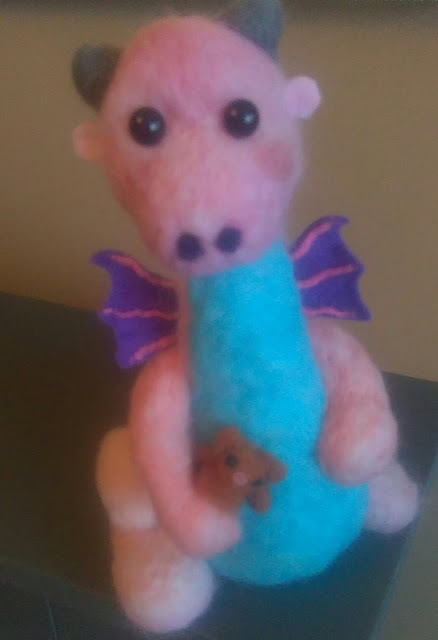 Okay, so the above was my usual method of felting, needle felting. 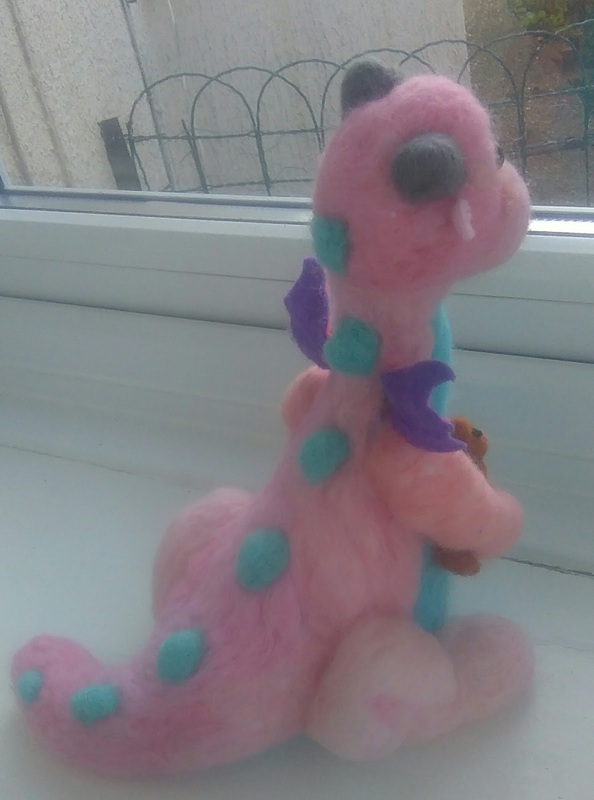 Below, is something I made by wet felting. Pay attention to this as it will become relevant tomorrow. 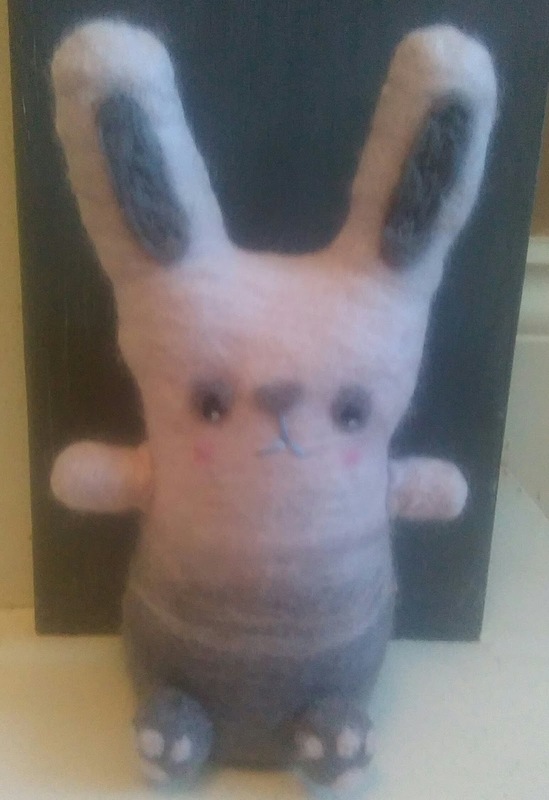 You lay wool on either side of a piece of plastic shaped - in this case - like a bunny. Agitating the wool with hot soapy water causes it to felt on both sides, you then remove the plastic and stuff your 2D bunny, to give it shape. Add arms and other embellishments with your trusty needle. This method calls for patience and lots of arm muscles.